Posted on September 22, 2014 by M.
This post is inspired by something I saw on Etsy just now, as well as recent events. When your gut instinct tells you something, I think the initial reaction for many tends to be to apply logic, to deny that intuition could be right on the mark, and to ignore the message. What I’ve been learning for the past couple years (at least) is that my intuition rarely fails; though occasionally I fail to heed it. In the book ‘Women Who Run With the Wolves’ there is a story called Vasalisa the Wise, in which a girl is given a doll by her dying mother. Her mother tells her to feed the doll regularly and she will be protected. When she doesn’t feed the doll, she gets into dangerous situations, but when she does feed it, the doll begins to speak to her. The author, Dr. Estes, compares this to intuition; when we ‘feed’ our intuition by heeding it, the voice of our intuitive knowing grows more powerful and we are able to hear it more clearly. I have been heeding my own intuition more and more over the years, and whereas 4 years ago I felt I was walking around confused and blind through many situations, unsure of what decisions to make, now I feel that I have a much brighter and clearer view of the safest and best path. see if there is a nagging thought or feeling there. Begin to write whatever comes to mind on a piece of paper until you have nothing left to write. When you’ve done this, look at the paper and see what decisions you might be mulling over. Accept that you are or aren’t sure right now, of what to do. If you know what to do, (which for me, I get a sense of peace about that path if it’s the right one) you might write down some first steps to take: don’t just think them! Actually write them. Somehow this always makes clearer in my mind how easy they are, though they seem hard before they turn from thoughts to printed words. If you still don’t know, let that be ok. The answers will come at the right time. Come back to your heart again later. It may take several tries of getting centered over several days or weeks before you are able to write anything. Keep attempting. The simple act of centering in your heart is food for your intuition anyway. I wish you the best in this. 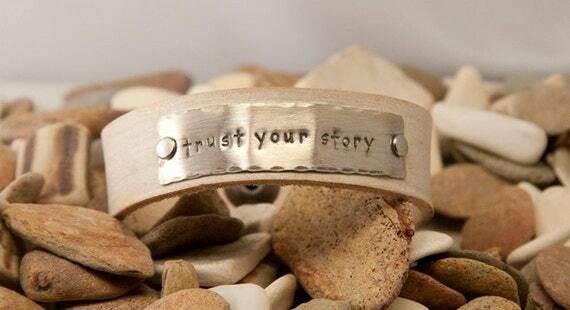 Remember to trust your story. If you feel like something’s ‘off’ or out of place, it most likely is; so take the steps you need to take and trust yourself.